Ranveera and Sonakshi’s Lootera to get Unique First Look! Trust Balaji to launch each of its films in an innovative manner. On 15th March, Balaji and Phantom’s forthcoming Lootera will be launched at South Mumbai’s iconic Liberty Cinema, which is also among the oldest in the city. The theatre will house media and guests to unveil the first look of the keenly awaited Ranveer Singh-Sonakshi Sinha starrer, which releases worldwide on July 5. Liberty was selected, as its decor is classical and old-world, which is representative of the zone and mood of Lootera. The story of Varun and Pakhi, we hear, is a love saga about passion and pain, longing and love and their love story has all the makings of a fairy tale. Liberty Cinema derives its name from the time it was founded. It was built in the same year that India gained independence (1947). 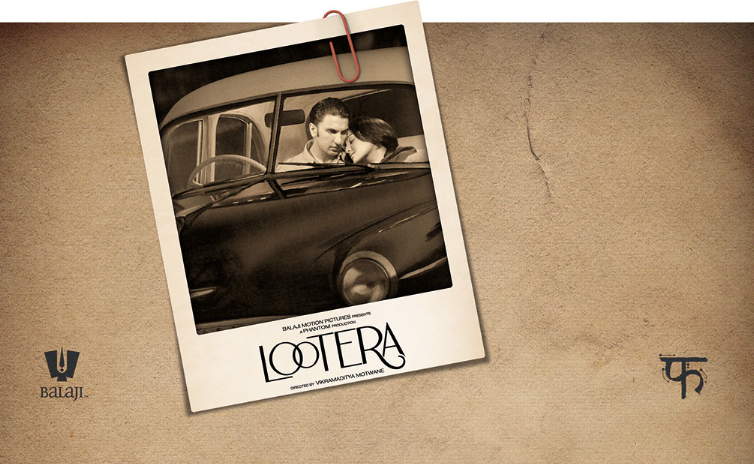 Lootera has been directed by Vikramaditya Motwane, a former assistant to Sanjay Leela Bhansali and the celebrated director of the award-winning film Udaan, which was an official selection at the Cannes Film Festival. It features Ranveer Singh andSonakshi Sinha together for the first time.